Wondering what's flooding your social media news feed? It's friends and followers who can't contain their enthusiasm upon hearing the news that Kane Brown is hitting the road for a concert tour. And yes, Florida is in the map, with St. Augustine as one of the major destinations for this much-awaited tour. Lock-in this date: Saturday 13th April 2019 and pin this venue: St Augustine Amphitheatre. 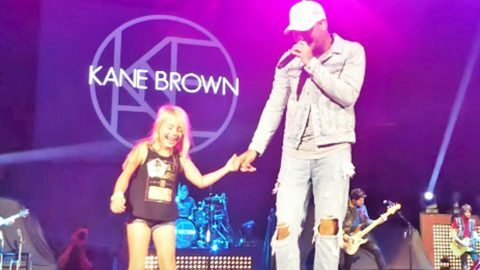 Kane Brown tour is the real deal! Flood the news feed all you want, but just don't forget to click the 'buy tickets' button. Beat the clock before tickets get sold out. At the St Augustine Amphitheatre, you’re guaranteed a show like nothing you’ve ever seen before. Known across Florida as the number one destination for the biggest names in music, the top award-winning performers from around the world bring their phenomenal stage shows to St. Augustine. This one is no different – fans are very excited! Now’s your chance to be in that crowd at the concert of your dreams! Make it a truly exceptional Saturday with a one-of-a-kind-concert that only Kane Brown can bring. Catch them LIVE on Saturday 13th April 2019 by booking your tickets in advance now!